Boats and books! 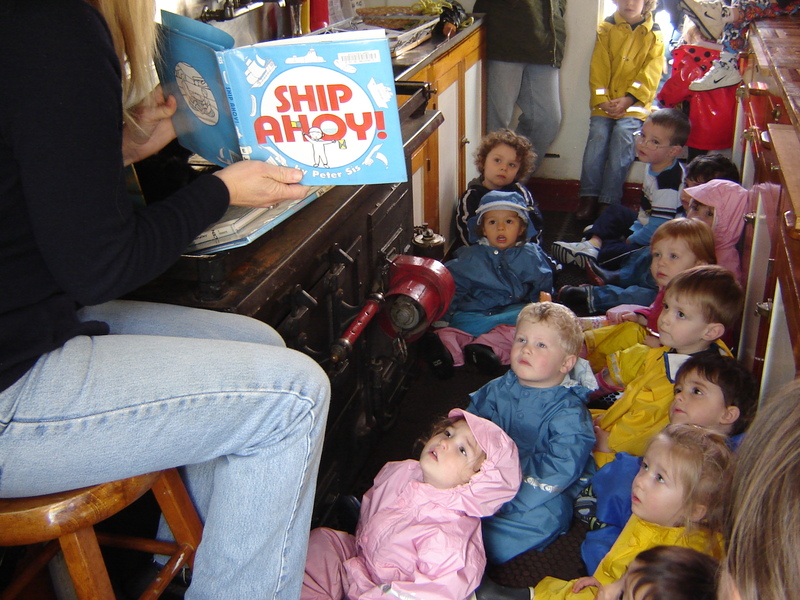 The Center for Wooden Boats on South Lake Union hosts this free ocean-themed story time twice a month aboard Northwest Seaport's historic Arthur Foss tugboat (located on the Historic Ships Wharf, just west of the floating Boathouse and North of MOHAI). Arrive early or stay after to explore the tugboat with your child. And combine it with a trip to MOHAI in its centrally-located new digs. (Kids are free!) Call 206-382-2628 for more information. 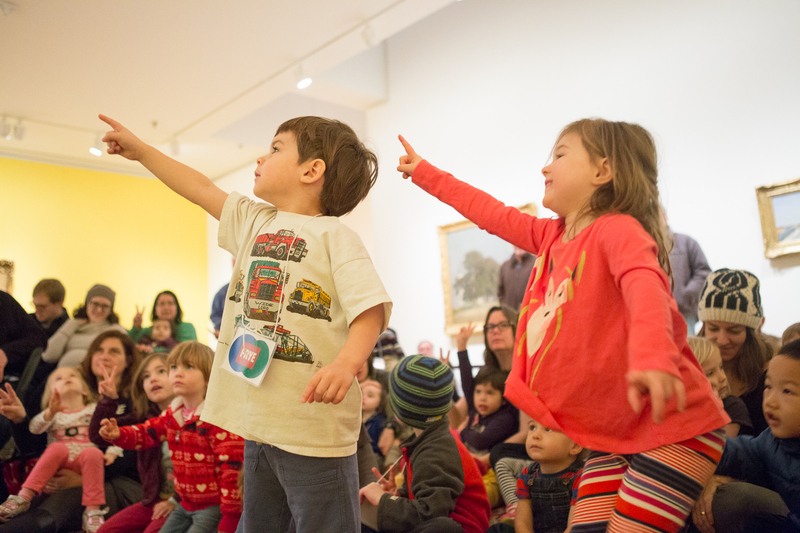 Head to the always-free Frye Art Museum on the first Friday of each month for this creative story time in the elegant Frye galleries, presented in partnership with Seattle Children's Theatre (who better?). This story time now includes a post-storytelling art activity. Kids can participate in both the art and storytelling (register in advance), or just come for the storytelling (drop-ins welcome), where storytellers will lead them through a story with dynamic movement and dramatic play. When: First Fridays of the month: storytelling from 10:30–11 a.m.; art from 11:15–11:45 a.m. Attendance at storytelling is required to participate in the art activity (register in advance), but families are free to drop in for story time alone. 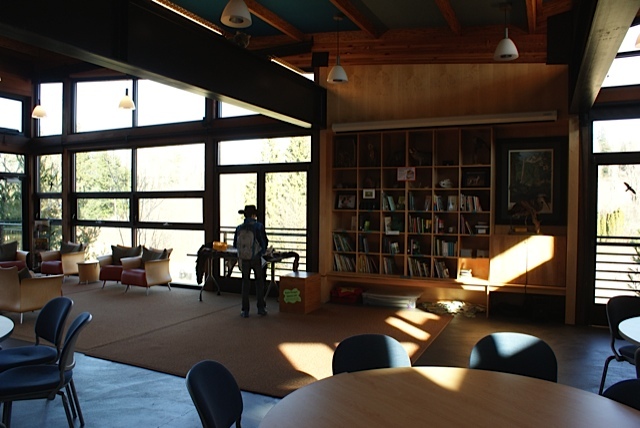 You don't have to choose between indoors and outdoors if you attend Seward Park Audubon Center's twice-weekly "Tales" for toddlers and preschoolers, which includes stories and songs, followed by nature exploration along the munchkin-friendly trails of South Seattle's Seward Park. Don't forget to explore Seward's awesome nature-themed playground, too. When: Wednesdays and Saturdays, 10–11 a.m.
Theo Chocolate Factory in Fremont has special Chocolate Story Time tours for kids ages 4–7 on select dates, typically Thursday–Sunday. Kids will hear the story of Molly and the Chocolate Tree, written by a Theo Chocolate tour guide. You won't need to win a golden ticket to visit this chocolate factory; admission is $8, which includes the story time, a kid-friendly tour of the factory and, of course, chocolates! When: Select dates, typically Thursday–Sunday, at 2 p.m.
Firefighter story time is not only fun for kids; it serves some very important purposes. Kids will be entertained and better prepared after hearing a firefighter read books like No Dragons for Tea (a book about fire safety ... and dragons). Kids also get familiar with what firefighters look like in full gear so they won't be scared in a rescue situation. Plus, what kid doesn't love a chance to get up close and personal with a real fire truck? 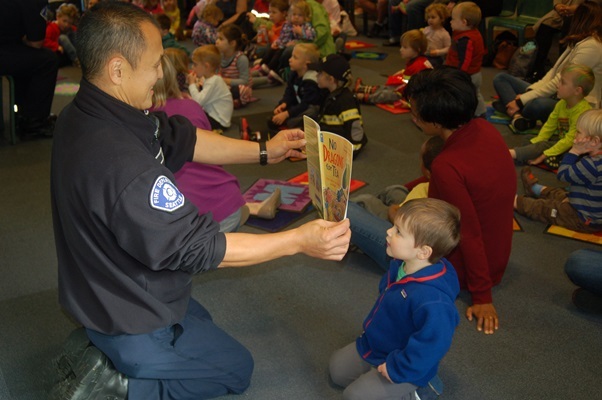 During October, which is fire safety month, Seattle Public Libraries partners with the Seattle Fire Department to bring story times to libraries and community centers all over Seattle. You can also find firefighter story times off and on throughout the year. Check the Seattle Fire Department calendar for updates. Have a child who could use reading encouragement? 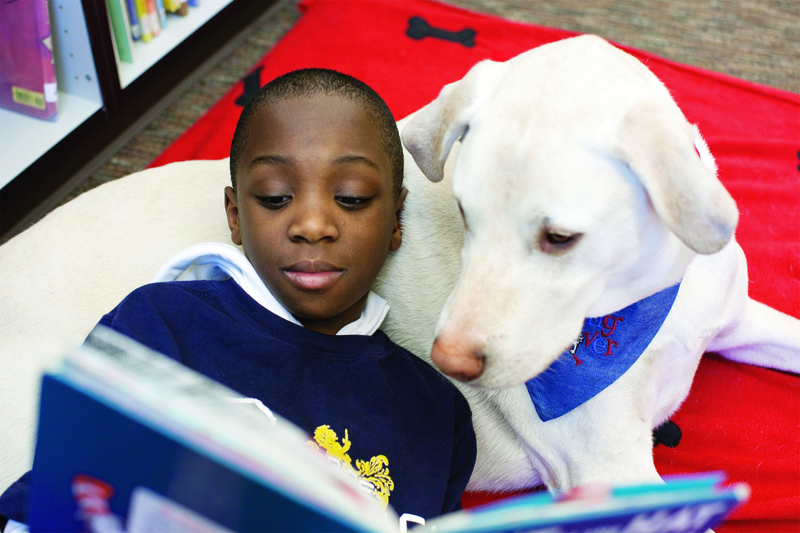 Reading with Rover provides certified therapy dogs (with handlers, of course) to visit parks, community centers and libraries around the Sound to help children practice reading in a safe environment. Where/when: Check Reading with Rover's schedule for upcoming events. 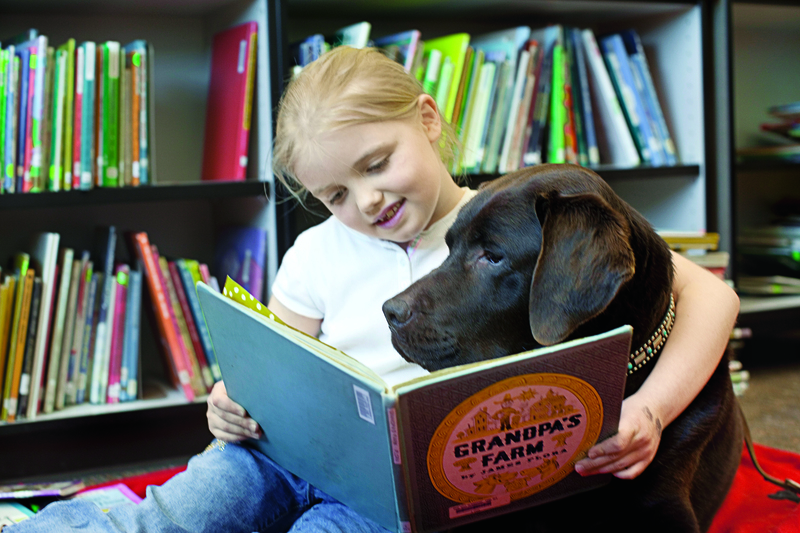 A similar program, Paws to Read, hosts events at the Evergreen Branch Library in Everett. Check the calendars for Pierce County Library and Seattle Public Library, both also host reading practice with gentle pooches on occasion. Who's in for music, stories and exposure to multiple languages? Seattle Public Library hosts Spanish or bilingual story time four or five days a week at several locations around the city. A fun ¡Hora de Cuentos! story time occurs Mondays at 10:30 a.m. at the Central Library, where you can also explore the library's bright, activity-packed Children’s Center. When: Mondays, 10:30 a.m. at the Central Library. Library branches in South Park, Columbia City, Lake City and other branches also have regular Spanish or bilingual story times (check the SPL calendar), as does the Everett Public Library, King County Library and Pierce County Library. Note: There are many other bilingual story times (from Cantonese to Somali to Mandarin to Russian) at Seattle Public Library branches, King County Library branches and Pierce County Library locations. Check schedules for upcoming story times. KCLS offers several weekly story times at Crossroads Community Center in Bellevue. Languages include Tamil, Russian and more. Professional storytellers from the Seattle Storytellers Guild, as well as special guests (popular children's musician Nancy Stewart is a regular), come together at Island Books at 6 p.m. on the first Saturday of each month for a family story time. Stories are generally aimed at ages 3 and older but entertaining enough for the whole family to enjoy. Check the events calendar to see who's spinning tales on any given Saturday. Get a dose of nature education with a story time led by a park ranger every first Friday at Lewis Creek Park Visitor Center in Bellevue. Stories are themed around local wildlife and seasonal behaviors, such as the salmon life cycle and hibernation. After story time, kids can make a fun craft to take home. When: First Friday of the month, 11 a.m.–noon and 1:30–2:30 p.m. Pre-registration required for each participant, both children and adults. Visit the website or call or 425-452-6885 to register. A program of Child Care Resources, Kaleidoscope Play & Learn is story time, plus a lot more: organized play sessions where young kids (ages 0–5) and their caretakers learn and play together, from free play to art activities to song circle and story time. Parents also get to connect to each other, and hear more about other early learning and family support programs in their neighborhoods. 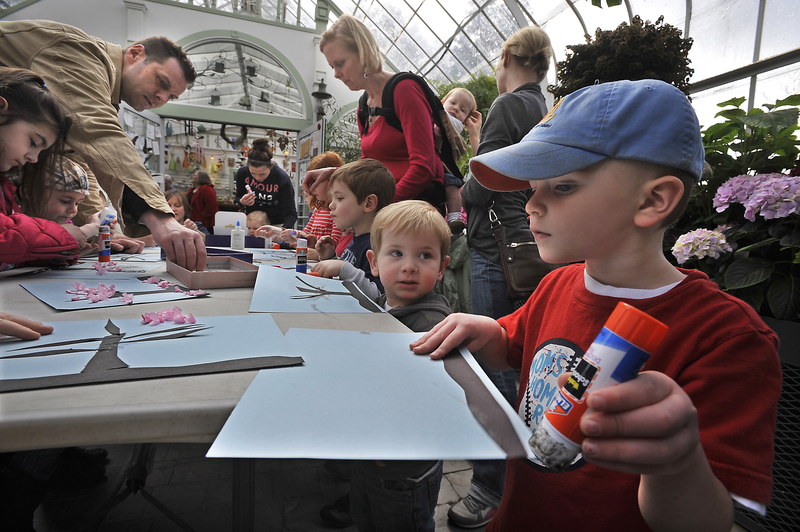 Stories amid the exotic blooms of Tacoma's conservatory? Yes, please. Bonnie Beaudoin leads these monthly story times with art and science components. When: Story times take place on the second Wednesdays of the month, but check schedule for occasional variations, 11 a.m.–noon. This article was updated on Jan. 27, 2017. Lauren Valencia is a freelance writer previously based in Seattle.